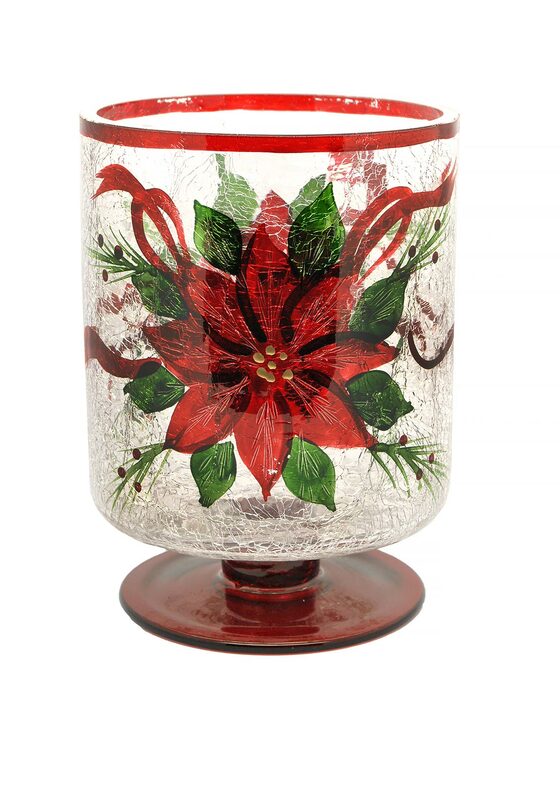 Light up your festivities with this clear glass candle holder from Slaneyside. 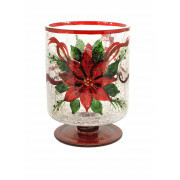 This candle holder will bring a glow to your table windowsill or mantelpiece at Christmas time. Features a lovely image of the poinsettia flower.